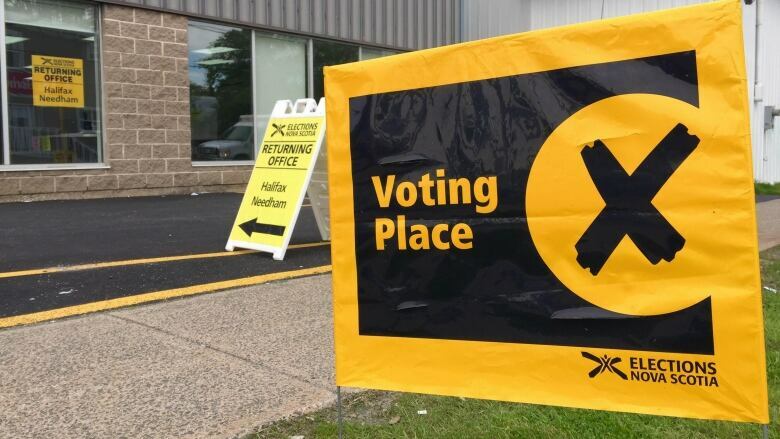 Just 53.55 per cent of eligible voters cast a ballot in Tuesday's provincial election, according to numbers from Elections Nova Scotia, down nearly five percentage points from 2013. If you asked a Nova Scotian before the election if they intended to vote, there was about an 80 per cent chance they would have said yes, according to one poll. Maybe some were lying, maybe some forgot — or maybe some just didn't care. 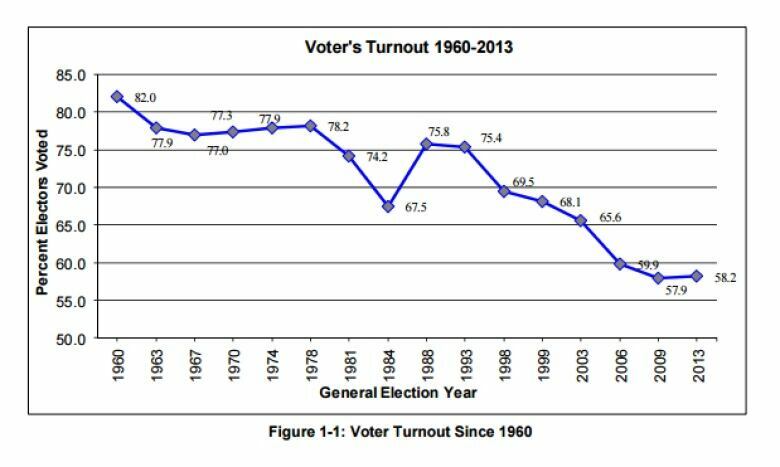 Whatever the case, voter turnout in Tuesday's provincial election was at an all-time low. Corporate Research Associates polled Nova Scotians ahead of the election about their intentions. "Close to 80 per cent of the people we talked to had a definite intention to vote," said Don Mills, chairman and CEO of the market research firm. "Based on the intentions, we expected the voting to be better than last time, probably in the mid-60s." In fact, just 53.55 per cent of eligible voters cast a ballot, according to Elections Nova Scotia, down nearly five percentage points from 2013. "It's very difficult to understand," Mills said. "Honestly, I don't get it." Neither does Liberal Premier Stephen McNeil, whose party was handed a second consecutive majority government in Tuesday's vote. On election night, McNeil was all smiles at the podium in Bridgetown, N.S., but he lamented the poor voter turnout the next day. "You know, that's the saddest thing about last night, to be frank, is that voter turnout continued to decline, and declined sharply last night," he said Wednesday. The premier vowed to look at "how we turn that around" but didn't offer specifics on how he would do so. "I'm happy to look at any changes, electorally, that would engage more citizens," McNeil said. "I know the prime minister tried that and it didn't go well with Canadians." Justin Trudeau had promised that the 2015 federal election would be the last under the first-past-the-post system. But he abandoned the idea of electoral reform earlier this year, saying there was too little "consensus" among Canadians about an appropriate alternative. Is it time for mandatory voting? Regardless, the low turnout in Nova Scotia has pollster Mills floating the idea of mandatory voting. "Is it time to institute mandatory voting based on declining voter turnout in Nova Scotia? I am beginning to think so," he tweeted Wednesday morning. It's a question he put to Nova Scotians two years ago in a poll: 62 per cent opposed it at the time. "It's not one of those things that people actually like," he said. "Doesn't mean it's not the right thing to do." Elections Nova Scotia said there were 748,633 eligible voters this election, but only 400,898 cast a ballot. "I think all politicians have to pay attention to this. This is a message actually," Mills said. "When the most Nova Scotians choose, as their choice, not to vote, this is an issue." There's no argument from Liberal MLA Leo Glavine, who was re-elected Tuesday in Kings West, a riding he has held since 2003. Elections Nova Scotia has not yet provided a breakdown of voter demographics, but Glavine, a former high school vice-principal, pointed the finger at the province's young people. "There certainly has to be a real look at how we do the business of government, and how we connect with citizens, and how we engage the youth of our province," Glavine said. "I find this, as an educator, very disturbing not to have stronger level of participation."